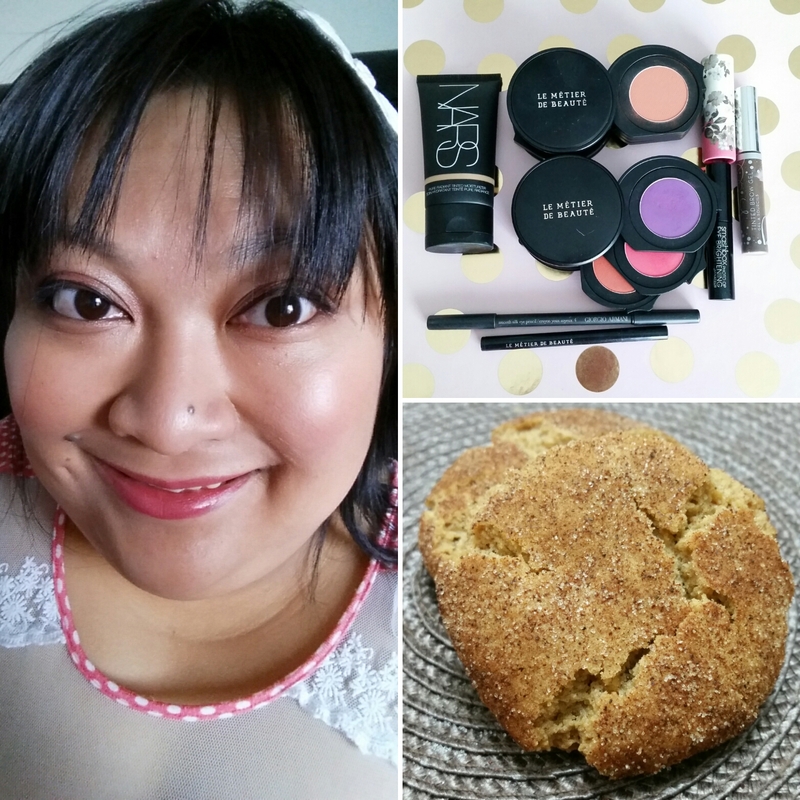 cookies & cosmetics: Le Metier de Beaute & My Best Snickerdoodles | sakura, lovely. I’ve been reorganizing and photographing my stash when I have days off to get a better idea of what I own (and to distract myself from upcoming spring collections) and also baking cookies because I got an extra bowl for my stand mixer so now I can do two different kinds of cookies at once! The lovely So Lonely in Gorgeous asked me to compile a list of the Le Metier de Beaute kaleidoscopes and palettes I owned which made me finally look at them all at once – I was shocked that I had 31 of them! I could try to do 30 consecutive looks with them but I am lazy and have a short makeup attention span so while I want to post about all 31 palettes it will be a very gradual process. First up is Violaceous Splendor because when I opened it this time around it was honestly the most intimidating kaleidoscope! Violaceous Splendor is the bottom kaleidoscope. At first – and second, and third – glance the bright almost neon colours of the peach, pink, and purple are definitely intimidating! The last pan is a matte black. Thankfully they apply with a more sheer, luminous satin finish than a matte opaque finish. While I normally prefer VERY pigmented shadows, in this case, the sheer nature of this palette allowed me to layer the shades for a bright, colourful, but still neutral-toned eye. I paired this eye with a peach cheek from the Le Metier de Beaute Blush Kaleidoscope, and a sheer pink lipstick from Paul & Joe. For base, I used NARS Tinted Moisturizer in St. Moritz set with Guerlain Meteorites (not pictured). I also used the Le Metier de Beaute eyeliner in Noir, Giorgio Armani black eye pencil, Smashbox Eye Brightening Mascara, and Anastasia Tinted Brow Gel in Espresso. The texture of Le Metier de Beaute’s powders are excellent. The shadows apply well with a brush and are easy to blend. The blush is soft and has medium-pigmentation, blending out quite easily with a medium-dense blush brush. The finish of the NARS Radiant tinted moisturizer is definitely more ‘glowy’ than the MUFE Ultra HD foundation I typically use but it still held up well and did not oxidize after several hours of wear on me. I’ll be using a different eye kaleidoscope in every look but you’ll likely see the blush kaleidoscope several times as there are 4 different, very versatile shades. And now, onto the cookies! As always, I started out with a recipe I found on Pinterest and modified it based on texture and what I had on hand 🙂 This is the final recipe. I have it on good authority that these are the bomb. I mailed two to my best friend in Vancouver, where they stayed soft despite 4 days travelling by mail, and my co-workers devoured them. My self-described ‘cookie snob’ co-worker even admitted to wanting (and eating) more than one! Now that your dough is mixed, please chill for at least 30 minutes in the freezer, but preferably overnight in the fridge. Take tablespoon sized amounts of the chilled dough, roll into a ball, and then roll until liberally covered in the cinnamon sugar mixture. Transfer to cool cookie sheet and bake at 350F for 10 minutes. For soft cookies, take out at exactly 10 minutes, allow to cool on sheet for 2 minutes, and then completely cool them on wire rack. For crispier, crackled cookies (like in the pictures) bake for 12-13 minutes, and remove from cookie sheet and cool on wire racks. The sugar shell on these makes for a great crispy exterior with a chewy centre. I could eat these all day (I brought them to work so I couldn’t!). If you bake these, I’d love to see them! Hope you enjoy!